Hey guys! 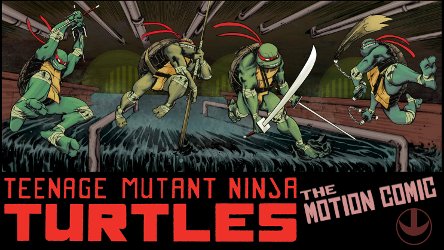 As many of you know, I've spent the better part of the year prepping this major project: a motion comic version of IDW's TMNT comic series featuring a full cast of voices to bring the characters to life. While I still need a bit more time before I can announce the official premiere date, I can tell you that the entire cast has been hard at work, pumping out unbelievable performances that we can't wait to share with you. I will be posting more previews in the future and will share them right there, as well as any news and updates, including the eventual announcement of our premiere date, so be sure and keep an eye on this thread and subscribe to StarForce Media's YouTube channel. Last edited by Desslok; 04-30-2016 at 09:48 PM. I'm in love already. Amazing. What a cool pet project. Its really shaping up. Listen to all that talent we have in here! Preview #2 is live! 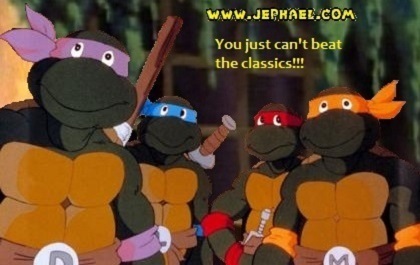 This time you've got the chance to hear more of our great cast including Raphael, Casey Jones, Arnold Jones and April O'Neal. Everyone on the project is still chugging along and we hope you're looking forward to more to come. Let us know what you think so far! Looks amazing so far!! Can't wait to see more! I'm anxious to hear Shredder, Kitsune and Baxter in this project. Last edited by Technogeek29; 09-21-2015 at 12:27 PM. Thanks, Tom! Coming from you it means a lot. That's pretty cool, dude. Nice work. While I am a little saddened that I didn't get cast, I'm pleasantly surprised to see how this turns out. What's this?! Two for the price of one? That's right, you ARE seeing double! Here are 2 entirely new preview videos, this time featuring a look at some of the villains and some fun interaction between Michelangelo and Raphael. I am getting really excited for an official release! Krang sounds PERFECT!! Loving the voices so far; a good cast by the looks of it! Can't wait to hear voices for Old Hob, Alopex and Baxter Stockman! Last edited by 2K3; 11-07-2015 at 11:21 AM. Some of your wishes granted, 2K3: Allow me to present Preview #5 featuring Old Hob, Baxter Stockman and MOUSERS! Awesome so far! Can't wait to hear Splinter, Alopex and Kitsune.